We help align your messages with the particular interests of the targeted audience. We recommend outdoor media buying opportunities in the markets and locations that can earn impressions and make an impact. We filter audiences based on very specific criteria, such as demographics and geographic areas that are in play for campaigns. 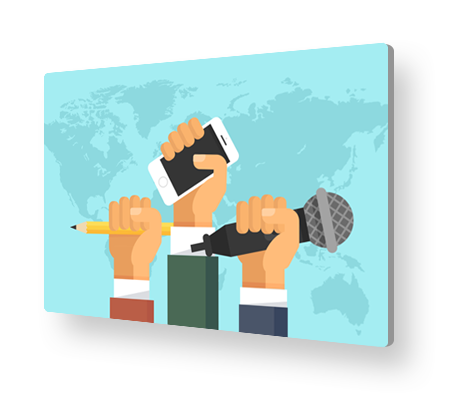 MPlan Media supports local, regional, and national campaigns with political media buying. With our strategic approach, expertise and experience your candidate can connect with the right audience and that too in an effective way. We use cutting edge strategies to attract voter support for our candidates and campaigns. With us as your partner, you will always know how well your campaign is performing, refine your message with creative testing capabilities, and adjust your targets accordingly. At every step of the campaign, we will coordinate with your team so that our tactics leverage the work of the campaign. We organize the campaign advertising process in a way that it recognizes all rules/guidelines and utilizes media in the most efficient and effective manner possible. We adjust your promotions for time-shifting and location-roaming viewing habits taking into consideration the way people watch now. MPlan guides radio media buying based on the programming and dayparts, that research suggests will influence voters. From social media marketing to mobile to display advertising, we will recommend whether digital media can deliver your audience.